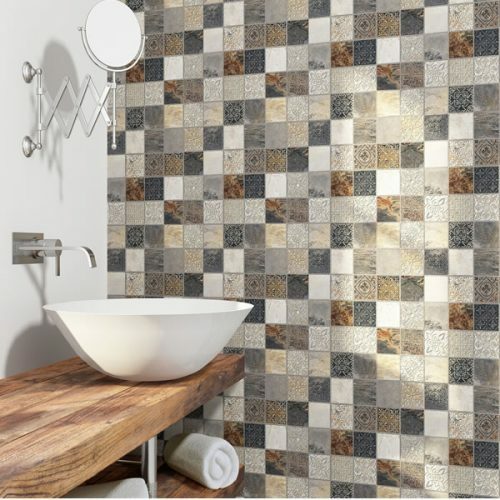 The Deco Calzada Ardesia feature tile is the perfect choice for creating a rustic look in your bathroom. 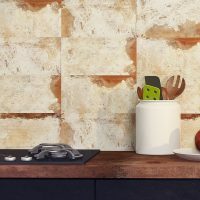 Comprising 25 small square mosaic-like patterns in different shades of rust, slate, beige and cream, this feature tile offers a unique and distinctive appearance that will set the design tone of any space. The Deco Calzada Ardesia feature tile is 450x450mm in dimensions and is sold per piece. It is suitable for use in indoor applications both as a wall tile or a floor tile and can also be used in wet areas, such as the shower. This feature tile offers an excellent blend of style and functionality and has been designed for use in high foot traffic areas, scoring a slip rating of R11 on the Oil-Wet Inclining Platform Test. 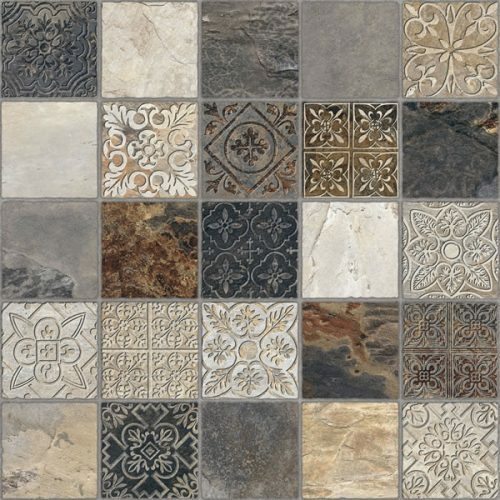 You will enjoy superior quality with the Deco Calzada Ardesia feature tile. 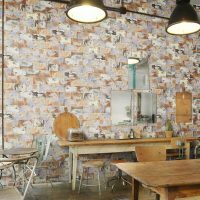 It exhibits first-class workmanship and high-quality of manufacturing that is unmatched by other tiles in this price range. 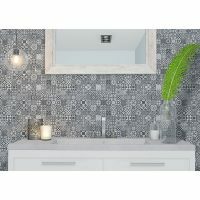 Create a distinctive rustic look in your bathroom buy choosing the Deco Calzada Ardesia feature tile from Ross’s Discount Home Centre. Shop from for the best possible price and receive free shipping to Perth Metro areas.